Joining the NYCSGA gets you two memberships for the price of one! 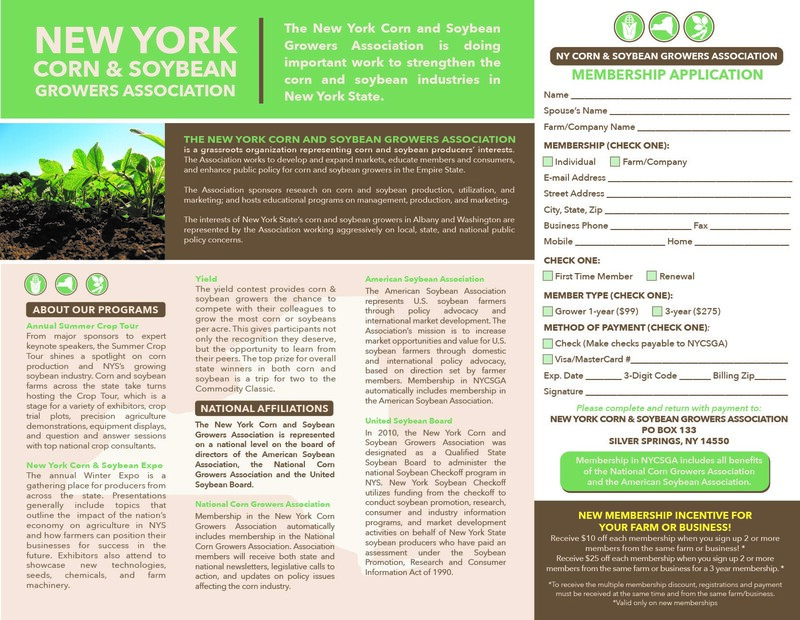 NYCSGA members receive dual membership with both the American Soybean Growers Association and the National Corn Growers Association. That's double the leadership training opportunities, double the advocacy efforts and double the fun! Additionally, the support of our membership allows us to bring in top-notch national speakers to both the Winter Expo and the Summer Crop Tour delivering fantastic educational opportunities right to your backyard. We encourage all of our members to get involved! By using the ASA Soy Action Center and NCGA Legislative Action Center sending your voice to Washington has never been easier! Visit the links below to easily explore current policy issues, subscribe to Action E-lists, search for your elected officials and take action today.